Jorge Grant has signed two-and-a-half year contract extension, with an option for a further 12 months, at Nottingham Forest. The 20-year-old midfielder has made three senior appearances for the Championship club. 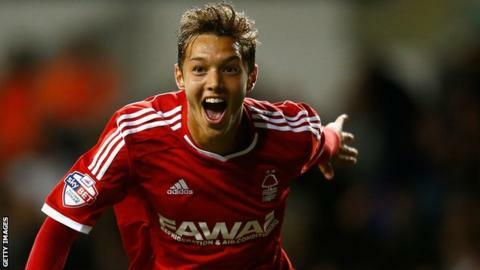 Grant scored on his first start, in Forest's 3-1 loss to Tottenham in the Capital One Cup on 24 September. His last appearance came three days later when he made his league debut as a late substitute against Brighton.